There is value in starting from where you are instead of trying to return for a clean piece of paper. 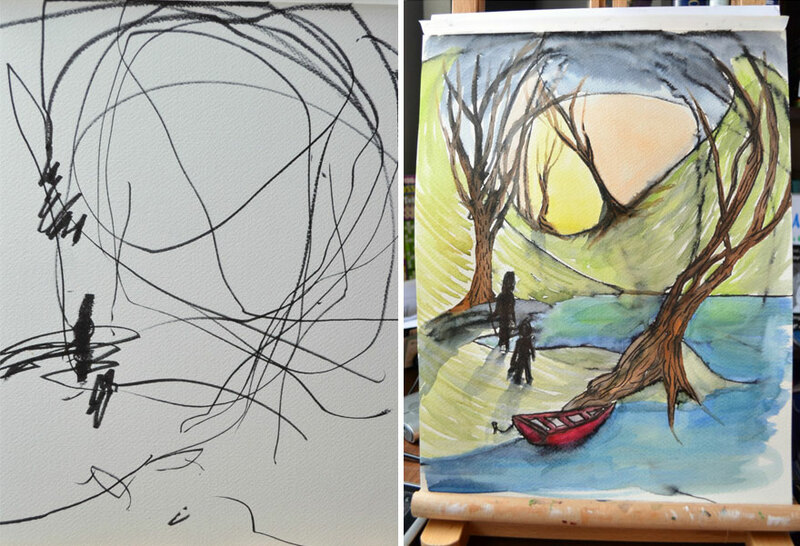 Take Ruth Oosterman who uses her 2-year old’s sketches as the foundation for her finished work. Their collaboration is intriguing and arguably richer due to the individual visions finding a point of confluence. How can you create a more powerful vision starting from where you are today?